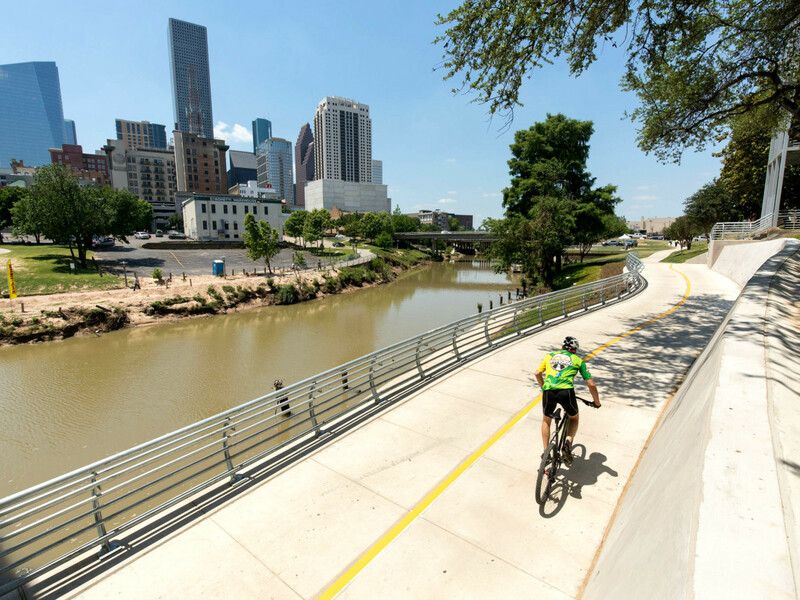 Outdoor enthusiasts, active inner loopers, and Houstonians can rejoice, as the highly anticipated hike-and-bike trail connection between White Oak Bayou Greenway and Buffalo Bayou trails is now complete. In a week that included the announcement of a revitalized downtown Jones Plaza and a $70 million development grant for Memorial Park, the new connector was officially christened during a public ceremony on April 28, hosted by Mayor Sylvester Turner, Congresswoman Sheila Jackson Lee, and various city and parks officials and foundation leaders. The ceremony marked the last of the six-part, $30 million “Houston Regional Bike/Ped Connections to Transit” project, funded by a grant from the U.S. Department of Transportation. 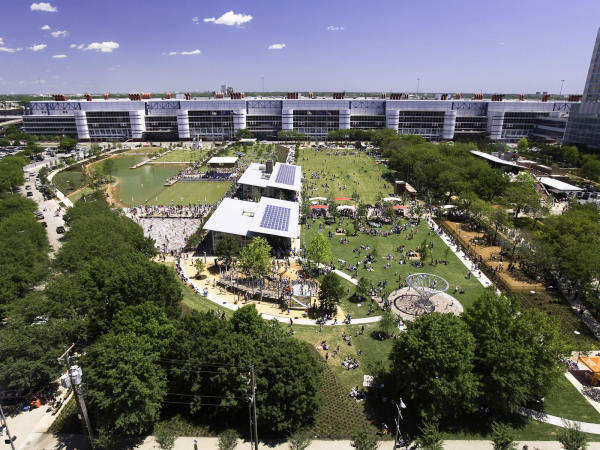 The connection adjoins the White Oak Bayou Greenway to the popular Buffalo Bayou trails and green spaces — including Buffalo Bayou Park, which was ravaged by Hurricane Harvey. City and park officials also tout the new connector as a link to downtown's East End, transit centers, communities, and recreational areas, and as an alternative thoroughfare for downtown students and commuters. The connection should provide easier access to destinations north of White Oak Bayou Greenway and across the I-10 corridor. 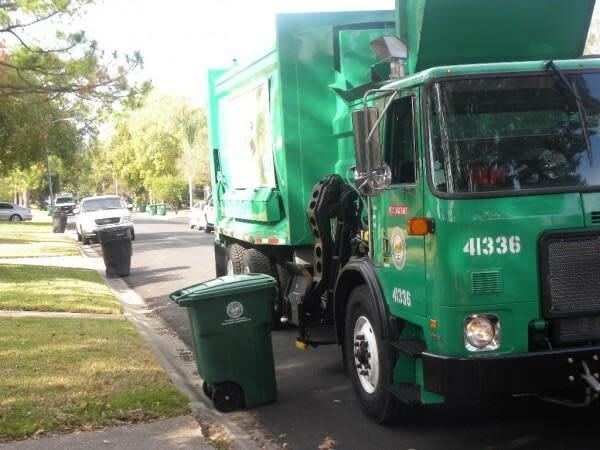 The connector is part of a series of projects by Bayou Greenways 2020, a public-private partnership between the nonprofit Houston Parks Board, the City of Houston, and the Houston Parks and Recreation Department, and the Harris County Flood Control District. The plans call for a transformation of some 3,000 acres of underutilized land along nine major waterways into a 150-mile linear park and trail system that crisscrosses Houston. The link should also come as a relief to active East End hikers, joggers, and cyclists who have needed safe access to the Buffalo Bayou trails and park.